My husband & I took a break from all the unpacking, demo-ing, painting, etc. last week to attend our Chapel Bells end-of-the-season party. 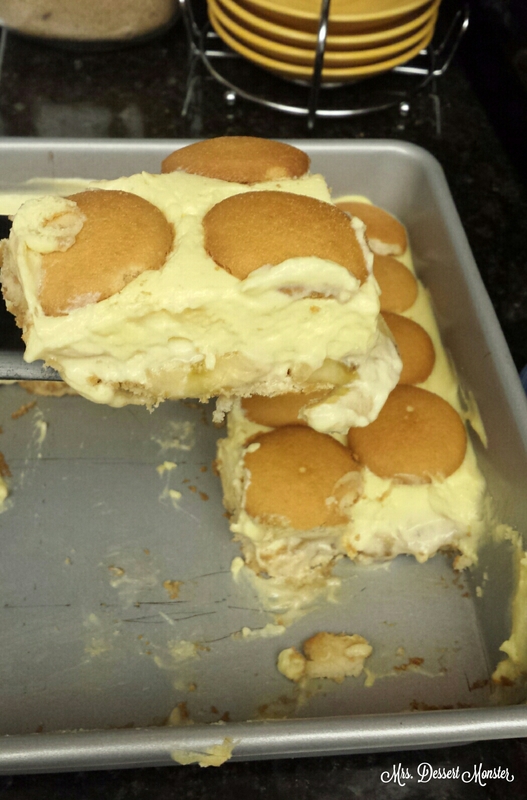 It was pot luck style, so of course I signed up for dessert, which was great because I had been looking for an excuse to make the best banana pudding ever. I got this recipe from my friend Josh. We were in the Pro Life Alliance together in college, & our meetings often involved dessert. The people in the pro-life movement are some of the sweetest I know (no pun intended). 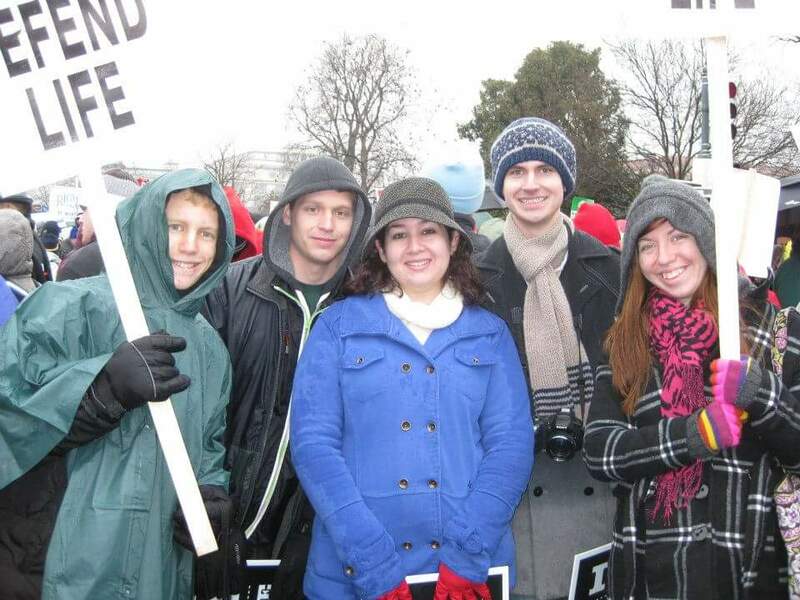 March for Life, January 2012. Washington, DC. This is one of those recipes that gets better with each step. Sampling along the way is definitely encouraged. It was like 10PM when I got around to making this the night before the bell party. By 10:30PM I was finished, had sampled it, & gone to bed. It’s a really easy recipe. Paraphrasing Josh’s instructions: Line a pan with Nilla Waffers. Then in a large bowl mix 2 cups of cold milk (Josh said whole, I used 2% & it still came out good) and 1 and 2/3 packet of instant French vanilla pudding (two full packets is too strong according to Josh) and let sit. Using an electric mixer – this was my inaugural use of my KitchenAid mixer in the new house! 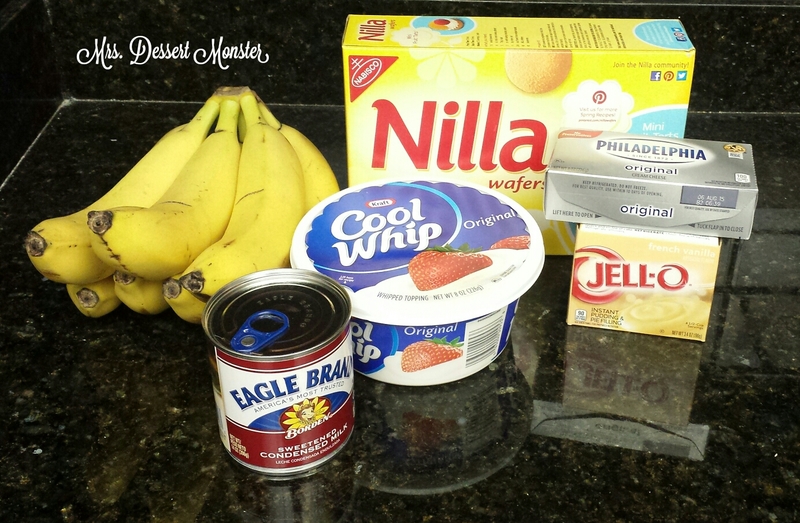 – mix together an 8 oz package of softened cream cheese and a 14 oz can of sweetened condensed milk until smooth. I think the secret ingredient in this recipe is the sweetened condensed milk. I love it. Cubans use it a lot. My mom & I used to pour it over corn flakes & eat it as a treat. Vietnamese people put it in their iced coffee. It’s magical stuff. Sweetened condensed milk + cream cheese = YUM! This combo must be explored further..
Once all lumps are gone, fold in a thawed 12 oz container of cool whip. This also results in a delicious combo. I wasn’t kidding about the sampling along the way! Take the cream cheese mixture and fold that into the pudding. Josh recommends to take a large dollop as a sacrificial amount and whisk it in really well to make sure the pudding isn’t too thick then fold in the rest gently. 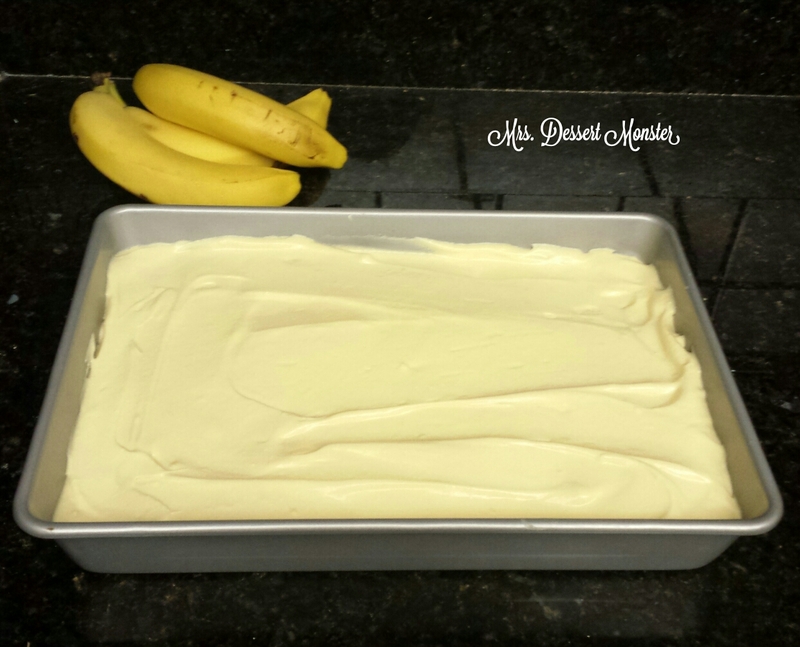 Cut up some bananas & line the baking sheet with the slices. Josh says to use slightly browned ones so they’re kinda soft but still have texture to them, but it’s up to your individual banana preference. I only ended up using 4 bananas in my recipe. You can add more or less! The pudding was a hit! 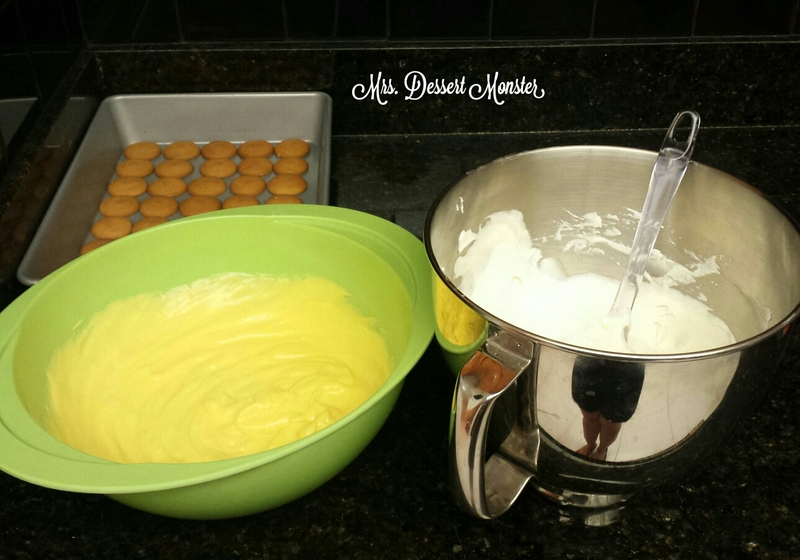 Line a 9×13 pan with Nilla Wafers. Mix pudding & milk together in a bowl. In a separate bowl, mix cream cheese & condensed milk with an electric mixer until smooth. Fold in Cool Whip. Take a large dollop of cream cheese mixture & whisk into the pudding. Fold the rest of the cream cheese mixture in gently. Slice bananas & lay over Nilla Wafers in pan. 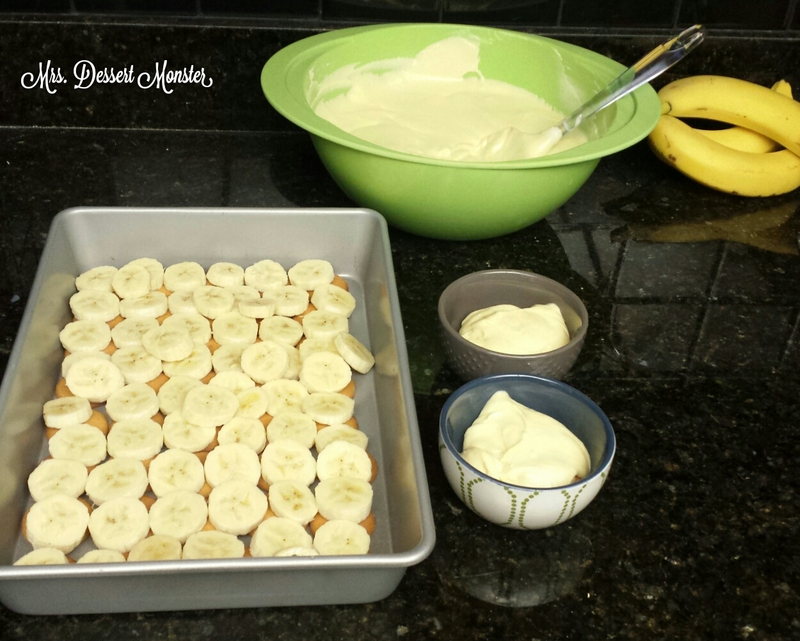 Pour pudding mixture over bananas in pan. Line top of pudding with Nilla Wafers. Refrigerate 2-3 hours before serving, or over night. I literally was looking on Pinterest today for a banana pudding to make my fiancé — he’s obsessed. You answered my need! Yummm…now I have a reason to get a KitchenAid mixer 😀 I want one!! The KitchenAid mixer is THE BEST thing I own. I got it as a wedding present & use it A LOT! Dang, I should have registered for one! I knew I wanted to register for a red mixer way before my husband & I even started dating! 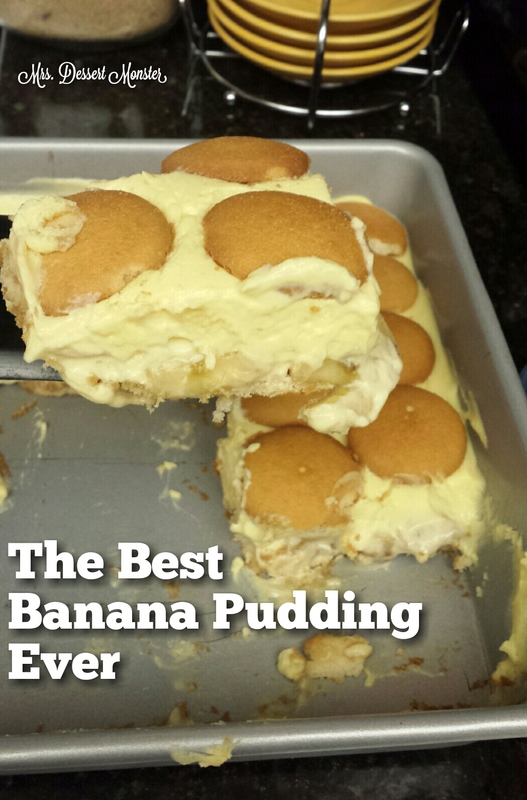 Thanks a lot Gina…now I’m craving banana pudding… Your recipe looks so delicious! I can’t wait to try it! Thanks for sharing at Inspiration Thursday!